Alan Statman received his law degree from UC Berkeley in 1978. Over the next 25 years he worked in a professional, fiduciary capacity as Chief Financial Officer and Vice President of Administration for several businesses in the service sector. Today Alan brings his legal knowledge and business experience to the administration of trusts for families and individuals. He acts as trustee or successor trustee for personal trusts including living trusts, special needs trusts, and testamentary trusts. On both a personal and professional level Alan understands the importance of working with a qualified trustee. Alan stepped in and served as trustee for two family trusts following the death of his father. His success in overcoming the challenges of administering trusts for his own family inspired him to found Trust Matters in 2006. That same year Alan joined the Professional Fiduciaries Association of California and shortly thereafter was recognized as a Certified California Fiduciary by PFAC and as a Registered Guardian by the National Guardianship Foundation. 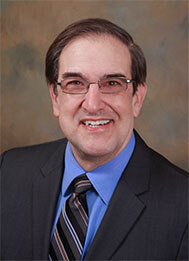 He was recognized by the State of California as a California Licensed Professional Fiduciary in early 2008.